FCA (Fiat Chrysler Automobiles) India has launched the Fiat Punto EVO Pure at Rs 5.13 lakh (ex-showroom, Mumbai). The EVO Pure replaces the Punto Pure to become the least expensive entry-level product in the company’s India portfolio. The launched model is basically a bare-basic version of the present Punto EVO. 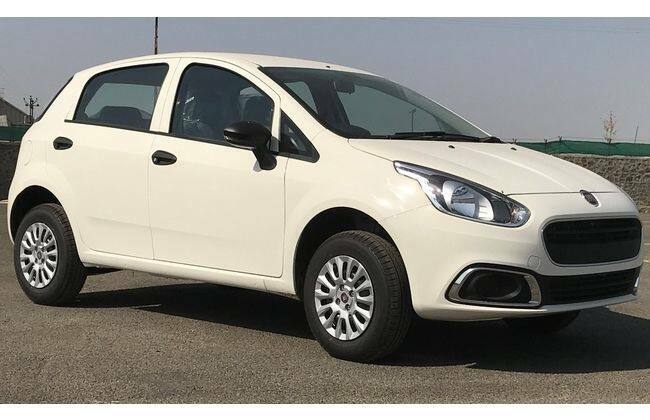 For the uninitiated, Fiat applied a similar strategy to its previous-generation Punto as well by tagging the older version as the Punto Pure to clear the piling stocks. However, the story this time isn’t known yet. The Punto EVO Pure continues to get the same stylish body with Fiat’s reindeer headlamps, muscular frame and impressive driving dynamics. The EVO always offered an excellent ground clearance of 195mm which helps it nudge bumps, potholes and uneven Indian speed breakers with ease. Unlike the model it replaces, the EVO Pure gets only a single engine option of petrol. It is powered by a 1.2-litre FIRE engine which pumps out max power of 68PS at 6000rpm and max torque of 96Nm at 2500rpm. It claims mileage figures of 15.8kmpl with this engine. Along with a decent fuel economy, it attains an impressive torque via a five-speed manual transmission. Of late, the carmaker isn’t doing really well in the domestic market courtesy its limited after-sales service. Despite being one of the oldest carmakers in the country, Fiat hasn’t been able to get the things going for it, as more and more ‘new’ carmakers such as Hyundai have broadened their wings in the Indian market to an extent, almost above the reach of the Italian major.